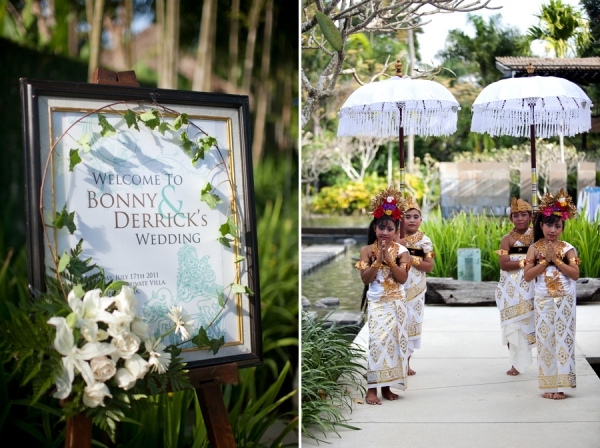 A year after they flew me overseas for their Bali Engagement Photos, Bonny made her way down the long narrow tunnel at Kayumanis Nusa Dua Private Villas & Spa, but careful not to overstep her floor-length Inca Rosalyn kebaya dress. Her brand new ALDO shoes didn’t even make a sound as she approached the man patiently waiting for her at the end of the tunnel. Under the humid July sky in Bali, he wiped his forehead dry for maybe the third time anticipating the familiar touch of the woman he had met there just three years ago … It would be his first look today of that same woman, but it would be completely different: Today, he would get to call her his wife. //To inquire about my Destination Wedding Packages & Pricing, please complete the Contact form or call 503-308-8228. Follow me on Instagram where I post daily. DISCLAIMER: I am not an expert. But, I am a believer that sharing is caring! Really, I am not an expert by any means … Honestly, I have such a long way to go and sometimes feel like I haven’t accomplished anything. But, when I look back on my old blog posts then I do see just how far I have come — though, I may not be where I want to be today. That’s okay, we all have to start somewhere! I write these tips mainly for myself not because I think I know everything… When I first got started, I was ignored by so many professionals who didn’t make time to help me with some questions I had. I’ve since found those answers and I share them with you here, just in case you are at a place where I once was and have some questions of your own. Register Your Business & Open a Business Bank Account. It was important for me to be legit, though, I would not feel comfortable charging anyone for a long time … Register your business name with the Secretary of State ($50). For Oregon: www.filinginoregon.com/business. For Washington: www.sos.wa.gov/corps. When you receive your official document, then you can open a business bank account and get a credit/debit card with your business name on it. It gives you pimp status. Trust me. haha! Get a Legit Domain. Set Up a Nice Website. Start Blogging. I’ve heard many times of newcomers who are waiting to start a blog or website. I’m not exactly sure what the wait is for, but there are many options out there to start a blog/website for free. When I first started my blog, I used Blogspot that was linked to my Gmail account. Yes, free. It did its job, helped me get my name out there— again, for free. But, don’t leave your blog static. UPDATE IT. POST OFTEN. SHARE YOUR WORK. SHARE YOUR LIFE. There are prospective clients out there! Network & Share with Local Vendors. There are so many marketing materials that I still need but, again, baby steps! However, the first thing you should get is a business card that will help get you into the right hands. Literally. Oh, if you’ve seen any of my earlier card designs, please don’t hold them against me. Yes, they were so bad! Hey, at least they weren’t templates or those really cheap paper materials that falls apart when it rains. My new cards are a-comin’ and I can’t wait to show them off! Like, BAM! Check out PremiumCards.net (there are many other sites, too); they are affordable and there are options for better quality above the cheap templates. I would suggest that you avoid those at all cost. Yes, pun intended. Find Your Value— and charge! Figure out what your base price is (what it costs you to do a photo shoot, including gas to and from shoot location plus any meeting with clients that require usage of your vehicle, electricity you use to start and finish processing images, cost of Internet usage to upload images to clients and corresponding emails, land line and/or cellular phone usage with clients, daycare fee for your children when you have to meet clients, etc.) … NOTE: Never step out of your home to work a photo shoot if you’re not getting a minimum of your base price. This is very important or else you’ll always go out of pocket. Add value for your time and talent, if you don’t then no one else will. Really, I am no expert on this topic by any means, but I am writing this down — yes, publicly — to share my first-ever boudoir marathon experience (aka Boudoir Par-tay!) to remind myself what I can do better the next time around. I had so much fun this past weekend with all the girls and cannot wait to do another marathon! HOLLA Back! //To inquire about my Boudoir Packages & Pricing, please complete the Contact form or call 503-308-8228. Follow me on Instagram for daily posts (#bunnsboudoir). Pamper your clients. Because a marathon can be hectic, make it a great experience for them to remember. Get awesome helpers: on-location hair/makeup stylist and creative assistant. Make it a par-tay and have fun! Offer three packages: (1.) session fee only, (2.) session plus hair/makeup, and (3.) session plus hair/makeup and prints. Book hotel suite for two nights; ideally, Fri-Sun when most people already have time off work. Check hotel suite in person before booking: make sure there is ambient lighting (SW corner usually has the best light) and decor is part of your brand. Be aware of lighting during different seasons, ie. good lighting in October is less than during the month of July when there is more daylight. Collect total session fees at least two weeks before event date. Remember to have all contracts and waivers signed, too! Provide your clients as much information as early as possible: available parking, wardrobe suggestions, makeup tips, print fees, etc. Make sure to have all your clients’ current mobile numbers in your address book. Things do and will come up! Get help with post-production by outsourcing the workload: check out Essential Edit. I was in Manila, Philippines when Bonny & Derrick flew me over to Jakarta, Indonesia to meet them. Then, we flew out to Bali where I was finally able to live out a life-long dream of seeing this magical land with my own eyes. Seriously, no words … No words. 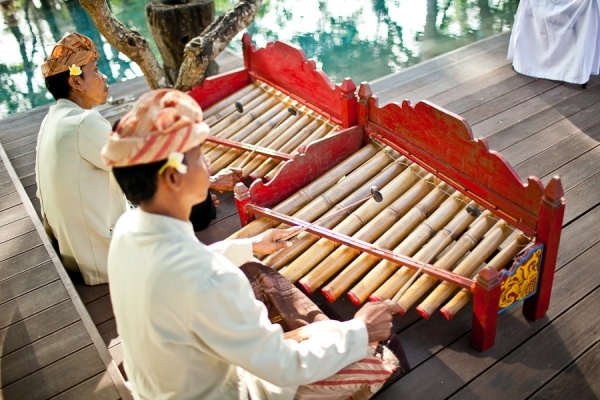 I cannot wait to bring my husband to Bali to help him check it off his list, too! //To inquire about my Destination Wedding Packages & Pricing, please complete the Contact form or call 503-308-8228. Follow me on Instagram where I post daily. When the publisher of SKORCH, the #1 magazine for plus size women fashion, contacted me to shoot for them I was surprised and kind of confused, really. Like, huh?? But, I was too excited for the opportunity that Jessica Kane offered me to cheat myself out of it so I just did it— and we got the cover!! //Photographer: Bunn Salarzon //Cover Model: Jamieya Sicotte //Hair+Styling: Thuy Pham //Makeup: MUA by MySa //Venue Location: Qube Lounge //To inquire about my Portrait Packages & Pricing, please complete the Contact form or call 503-308-8228 (PST). Follow me on Instagram where I post daily.